On Sunday 25th September, Phil de Gruchy will be running 13.1 miles across East London in the Run to the Beat half marathon. All funds raised will go to the NSSPT, a charity run by members of Phil’s wife’s family. 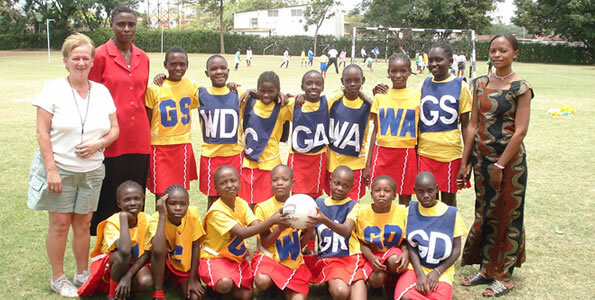 The money goes directly into running a school in the slums of Kenya’s capital city, Nairobi, as well as supporting other local projects such as the supply of clean water. The charity does not spend money on marketing so all money raised will go directly to Africa. What is the NSSPT doing to help? 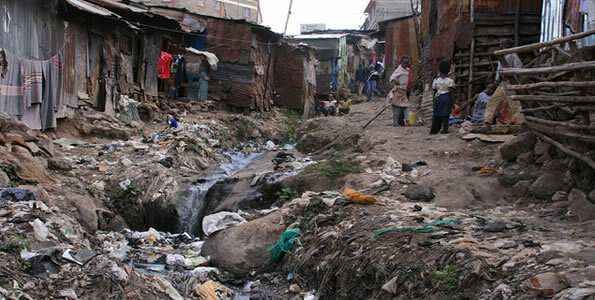 The NSSPT has taken the stance that through educating the young, the situation for current and future generations of the Nairobi Slums can be improved. Our focus is to provide educational facilities for four to eleven year old children. 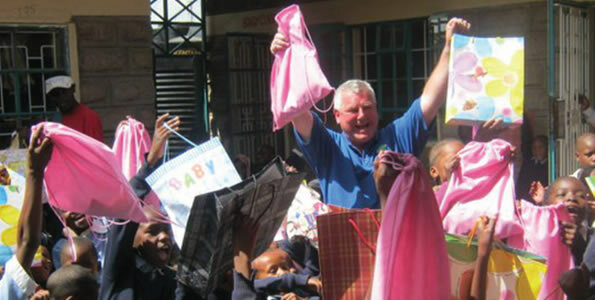 Paul Bell, Director of the NSSPT, began the plight in 1999 when he was struck by the horrendous poverty and conditions in slums when on holiday in Kenya. Paul and his family continue to travel to the slums a least a couple of times each year to progress the various projects the charity is undertaking. 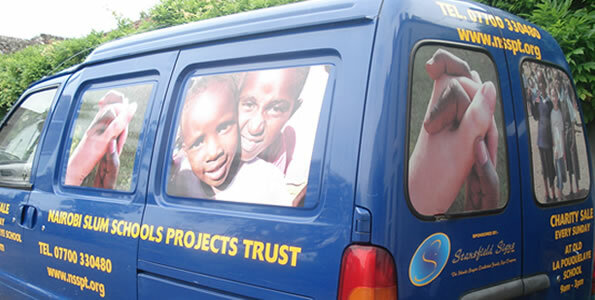 Like all the volenteers that travel to Kenya with the charity, the travel costs are self funded so that all donations can go direct to the projects. 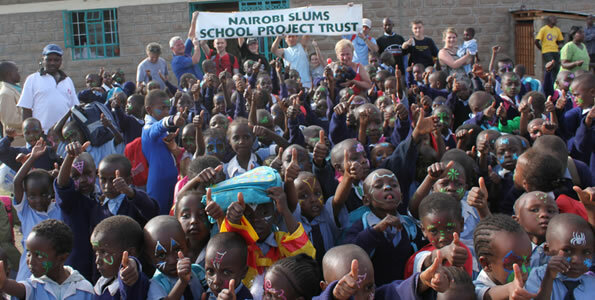 The first school to to receive NSSPT money, was called The Top Mark Academy, a temporary corrigated iron building in the middle of the Mathare Slums. This facility teaches 110 children and has seven teachers. It has been up and running for a number of years. 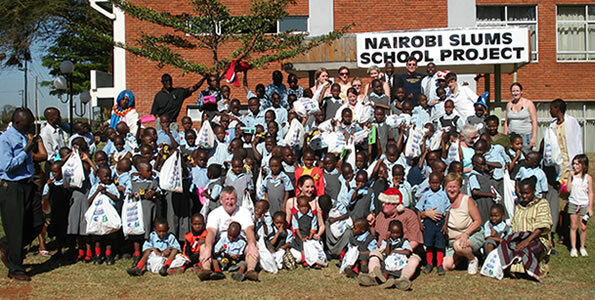 On February 14th 2007 a party of 14 people, six from Jersey and eight from Belfast went to Nairobi to see the progress of our new school in Kwan Jenga Slum and open “The Red Roof Academy”. Parents and children alike attended the opening celebration on 23rd, when the district officer of Embakasi declared the school officially open. A grand party was held afterwards with food and drink for everyone. The first intake of children will be on May 7th when the new school term begins. 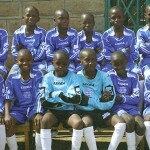 Initially, there will be three classes of 20 children, with the numbers gradually increasing. 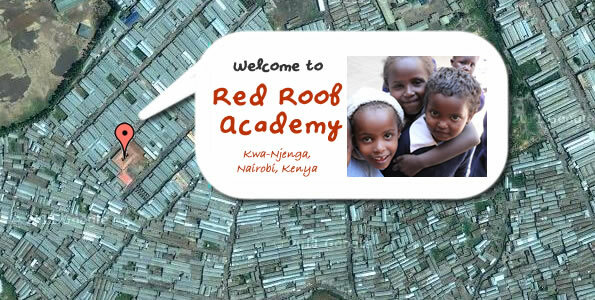 Uniforms, books and equipment have already been purchased for the new intake so it will be great to get photos of the new children in “The Red Roof Academy”.